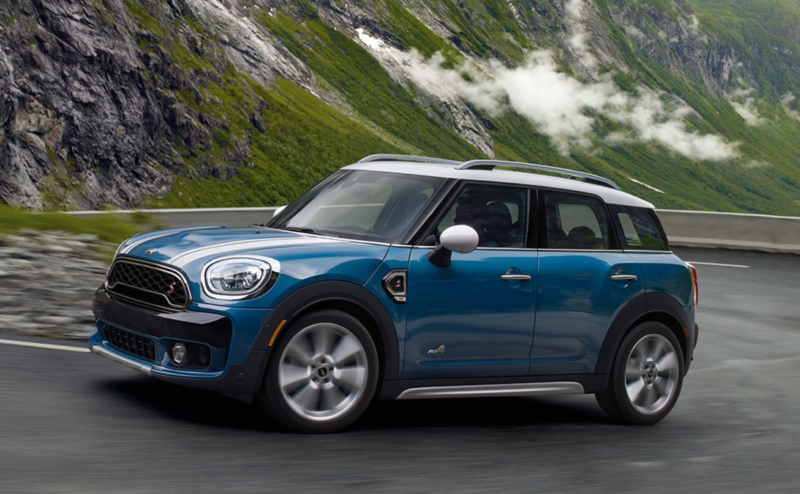 The 2018 MINI Countryman is a near-luxury compact four-door hatchback that has available all-wheel-drive. Within MINI’s eccentric lineup the Countryman slots above the Hardtop 4 Door. Like all MINI’s the Countryman features a distinctive design inside and out and offers a spirited driving experience with nimble handling and zippy acceleration. Being a more premium near-luxury offering, the MINI Countryman has few direct competitors. While more expensive and less roomy than mainstream competition, it offers panache that is lacking from the likes of Volkswagen or Subaru. Prices start from an MSRP of $27,400. Safety Score: Although the 2018 MINI Countryman received good crash test ratings, it was letdown by weak headlamps in an evaluation by the Insurance Institute for Highway Safety. Summary: For shoppers looking for something a little different, the 2018 MINI Countryman offers style in spades. Be sure to try the interior on for size during a test drive because the interior can be too confining for some.